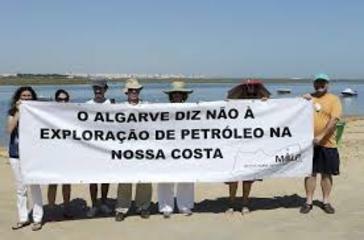 The selection of environmental conflicts in Portugal presented here provides a general overview of the socioeconomic and environmental changes that have occurred in the country in the past five decades and the consequent alterations to the patterns of environmental mobilization. Even though cases of environmental conflict were recorded as early as the 1930s, our starting point for this study is the end of Salazar’s dictatorship (April 25, 1974). This was a time of rapid social change (agrarian reform and mass out-migrations), brought on by the new developmental policies implemented to “modernize” the country. Their focus was to promote urbanization along the coast, expand the network of roads and freeways, and build energy infrastructures. This process intensified after Portugal joined the European Union in 1986. Even though Article 66 in the Portuguese Constitution (1976) recognized the “right to a healthy and ecologically balanced living environment” and the “duty to defend it”, the environmental impacts of modernization policies were kept off the governmental agenda until the "Framework Act on the Environment" was passed in 1987. The adoption of this act initiated the process of institutionalizing public policies on the environment in Portugal. At the end of the dictatorship, discontent with industrial pollution and the environmental impacts of the development policies started to be expressed openly. One of the earliest cases was the opposition to the increasing amount of pollution caused by the discharge of waste from the tanneries along the Rio Alviela, which led to the establishment of a Local Popular Commission in 1974. Another very significant case was that of the opposition to the construction of a nuclear power plant in Ferrel in 1976, which led to a broad convergence of different social groups (local and national, rural and urban, popular and intellectual) into a dynamic antinuclear front that is active even today. In the 1980s, the environment occupied a more central place on the country’s political agenda thanks to the formation of a number of national environmental groups and the Partido Ecologista Os Verdes (The Ecologist Party – The Greens). At the same time, the steady increase in social metabolism brought on by the growth of agricultural, industrial, and mining activities generated an array of new environmental conflicts all over the country. A major conflict arose in 1987 when the government granted a license for the exploitation of kaolin near a housing complex in the village of Barqueiros (Barcelos district). This led to mass protests that were able to suspend the operation for more than two decades. 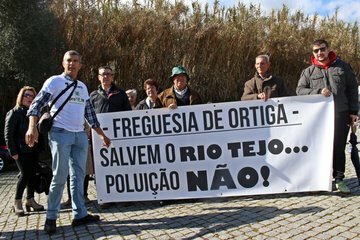 In the same year, massive opposition arose against the installation of a nuclear waste storage site by the Spanish government in Aldeadávila of La Ribera/Salamanca, in the Douro River basin area. Other mobilizations generated by the intensification of industrial agriculture in the late 1980s include the protests against the growth and concentration of pig farming in the Lis River basin led by several villages whose ways of life and livelihoods were being affected by organic discharges from the farms. The defense of traditional ways of life and common access to land was also at the origin of protests against eucalyptus plantations, linked to the growth of the pulp and paper industry in several areas. In the 1990s, environmental conflicts in Portugal multiplied and diversified. The state’s development policy centered on the construction of road and energy infrastructure was one of the main sources of the conflicts. However, this was also the time when environmental regulations that made Environmental Impact Assessments and public consultations open to ample social participation mandatory were adopted (Law n.º186/90), which marked a turning point in the balance of power between the state and civil society on environmental matters. The role of the state’s development policy is illustrated by the numerous conflicts related to the construction of hydroelectric dams, including the cases of Foz Côa and Baixo Sabor, and the installation of high voltage transmission lines. The expansion of the road network also generated impacts and protests, as shown by the cases of the Castro Verde highway and the Vasco da Gama Bridge. These protests were marked by the involvement of a broad range of national and international environmental NGOs. During this period, conflicts around urban and industrial waste treatment arose in several locations (Sermonde, Taveiro, Bigorne and Cadaval, Souselas, Maceira, and Outão). The national media politically delegitimized these protests in the urban public opinion by labelling them as NIMBY (Not In My Back Yard), thereby depreciating the local symbolic and cultural systems. In the first decade of the 21st century, the most intense conflicts were the ones that gave continuity to the resistance to projects initiated in the 1990s. New disputes over the construction of large dams (Foz Tua, Gouvães, Padroselos, Fridão, Alto Tâmega, Daivões, and Ribeiradio/Ermida), small hydropower plants (Mondego and Paiva), and cases related to the installation of high voltage transmission lines across the country are some examples of this. There were also conflicts marked by environmental and health problems with more remote causes and whose effects extend over time, as in the case of uranium mining in Urgeiriça, as well as various demonstrations demanding the removal of structures containing asbestos in public buildings led by movements pushing for the implementation of European Directive 1999/77/EC. A relatively new form of environmental conflict in Portugal is the opposition against GMOs on the part of farmers’ and environmental groups. The map of conflicts presented here was developed by conducting a literature review on a collection of over 2000 documents: articles in national and regional newspapers; scientific articles in national and international journals, presentations at scientific events, technical reports, theses, blogs, websites and others. This effort was conducted within the framework of the research project entitled "Portugal: Ambiente em Movimento" (PAeM, Portugal: Environment on the Move). PAeM is the result of international cooperation between the Ecology and Society Lab of the Center for Social Studies of the University of Coimbra (Ecosoc/CES, UC), the Center for Mineral Technology of the Ministry of Science, Technology and Innovation, Brazil (CETEM/MCTI), and the Research Centre in Economic and Organizational Sociology of the University of Lisbon (SOCIUS-CSG/ISEG, UL). A public consultation with a pool of Portuguese academics, activists, politicians and environmental specialists was held between August and October 2014 to obtain data. After analyzing and systematizing the data, a list of almost 130 conflicts was compiled. The list was divided up into different areas (waste management, industry, mining, agriculture, energy, megaprojects, and territorial management). 25 cases of environmental conflicts of greater intensity and importance were selected and submitted to the pool of Portuguese experts, asking them to choose the 15 cases that they deemed the most important. In some cases, we decided to regroup several conflicts on the same issue into one countrywide case, even when they occur at different times and in different places. In relation to the geographical distribution of the conflicts, Northern and Central Portugal are the regions with the highest concentration of cases, followed by the Lisbon area and the Tagus Valley, and then, the Alentejo region. No conflict of comparable intensity has been recorded (so far) in the island territories of Portugal (Açores and Madeira). Such a geographical distribution, the motives for which have yet to be fully understood, could be partly related to the country’s physical characteristics – that is, the location of most of the dams, industrial activities, and urban and periurban infrastructure. The "Algarve Livre de Petróleo” (Algarve Free from Oil) is a new case that was added in February 2016, almost one year after the launch of the Portuguese EJ Atlas. It was not part of the list of cases selected using this methodology, as at that time, citizens had not yet given great importance to the conflict and, therefore, resistance levels were still low. 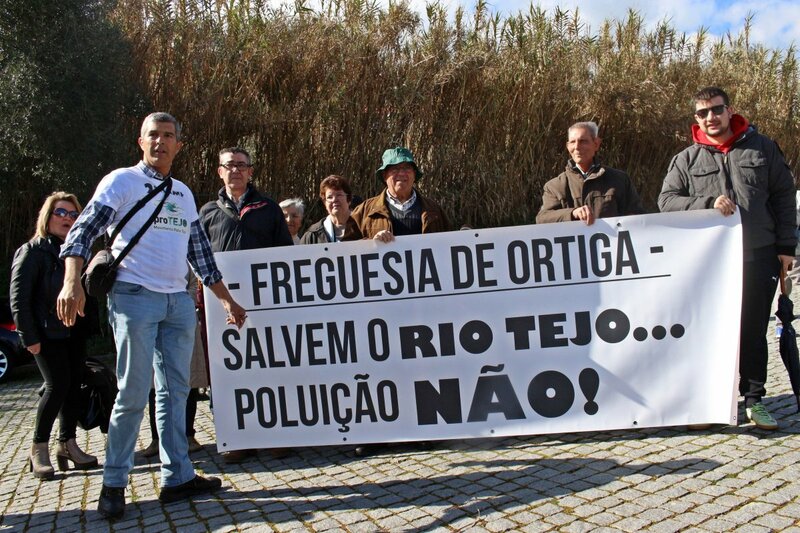 In 2018, a new case was created by proTEJO - Movimento pelo Tejo (pro-Tagus – Movement for the Tagus River) entitled “Celtejo's SLAPP against Arlindo Marques”. The case explains how the pulp mill operator Celtejo (Altri Group) sued an environmentalist for €250,000 in compensation for his allegation that pollution in the Tagus River has reached unacceptably high levels due to the company’s activities. EJAtlas Portugal featured map was launched in March 2015 and updated in March 2018.